A celebration of life - standing amongst the towering stones with 30,000 others watching the sun rise on the magical midsummer morning. It's great to be able to stand inside the sacred circle of sarsens as our ancestors did as dawn appears over the Heel Stone - much better than from behind a fence. A traditional way to celebrate the longest day of the year. 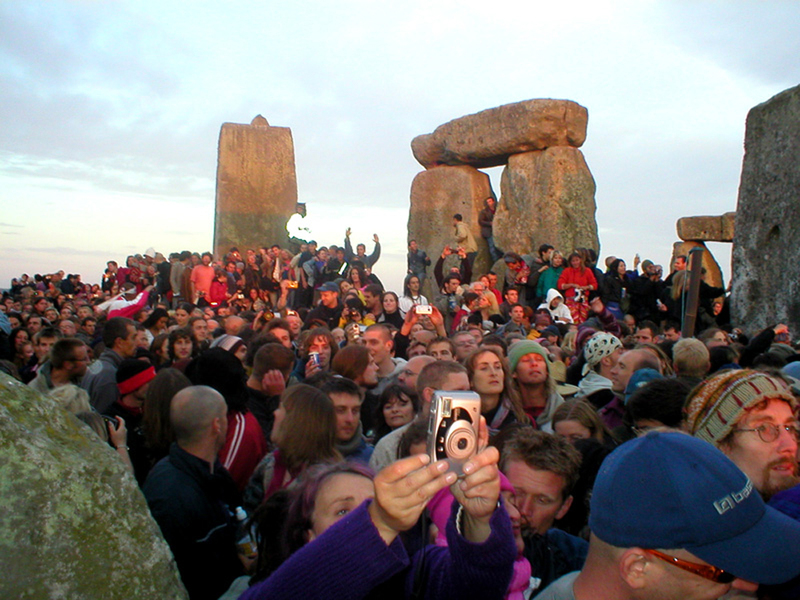 There's an amazing communal excitement at the solstice sunrise as the spiritual ancestry of this prehistoric temple is celebrated - with whoops of joy, drumming, horn blowing, cheering and applause...it makes you feel good to be alive. This re-enacting of an ancient ceremony brings a mystical link, stretching right back through the aeons of time, producing almost a celebratory communion with our ancestors. John Aubrey, an amateur 17th century archaeologist wrote that Avebury does 'as much excell Stonehenge as a Cathedral does a parish church'. 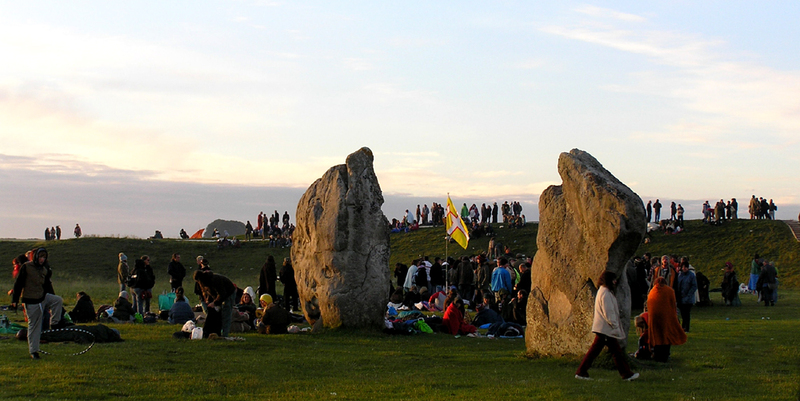 Avebury has a much more relaxed vibe than Stonehenge for the summer solstice and the added benefit of a pub on site. There's a no parking zone which is enforced for miles in all directions which does cut down on the crowds but - come prepared for a long walk or get someone to drop you off. The experience - 3 days of seeing how good life can really be - full of music, colour and fun. You don't want it to end - although a shower and a clean loo would be nice! No other festival attracts such a mix of generations - children frolic in the Kidz Field, ageing hippies recount their festival tales, everyone enjoys the atmosphere. No other festival raises so much for charity. 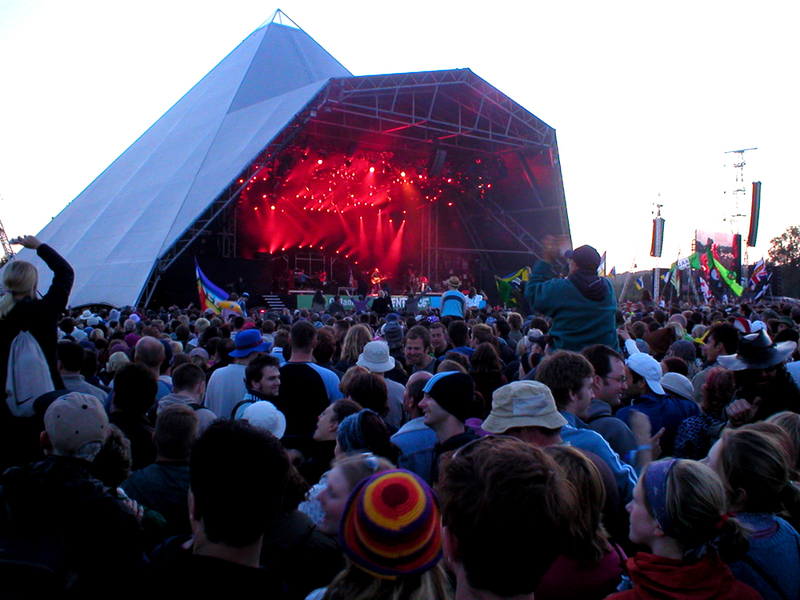 Glasto is essentially all about people and will never be just a pop festival. It isn't only music - it is the lifestyle we dream of - free from worry and work - chilling out in the sunshine, or the leafy Glade or lying amongst the stones in the Sacred Space. 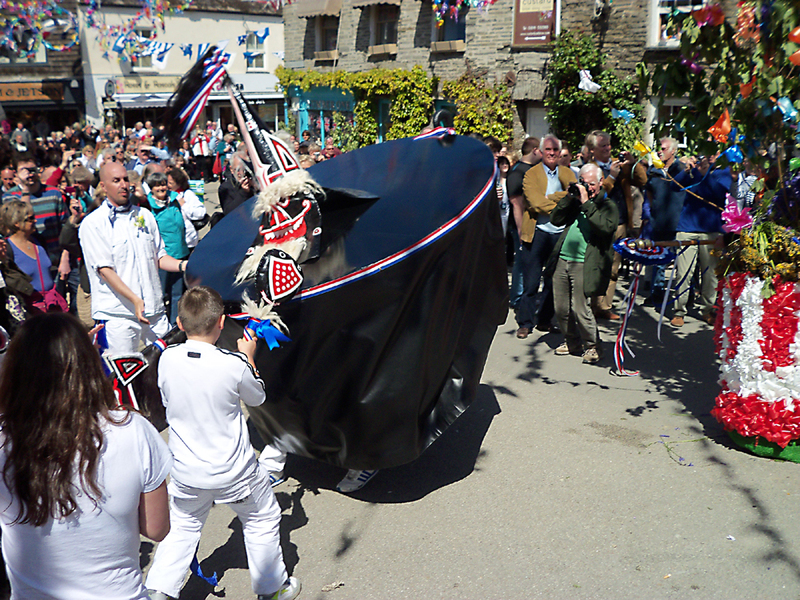 The 'Obby 'Oss, (local for Hobby Horse), is a traditional annual event on May day at Padstow, Cornwall. The Cornish May day tradition is strongly linked to the Beltane celtic festival and celebrates the coming of Summer - "Summer Is Icumen In"
(a traditional English medieval round).